For the Spider-Verse event I created a casualty list that recorded the deaths of characters and there were many in each book. When I picked up Secret Wars I had the same intention of doing the same thing. 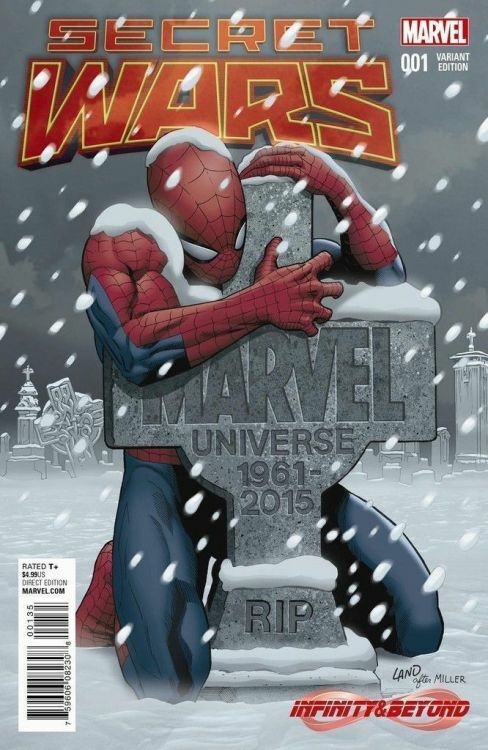 The problem I quickly encountered is that, just about everybody in the Marvel universe dies. I am dead serious pretty much everybody dies. So my thinking now is to record A) Those who lives, and B) Provide pictures of some of the more poignant deaths. Follow all the new Secret Wars developments on the Observation Deck! What is Battleworld? Lets take a tour of it!